Buffalo Pacific’s technology platform combines a leading-edge approach to connecting people with ease of use and is supported by 16 US patents. The real “WOW” is when you experience the interactions yourself… you see the 3D images without glasses or goggles, you feel the presence of the life-size connection, you hear the theater quality sound and ease of communication, you note the ease of use. Visit the BP Experience Center. We have all of our systems of the Omni-Series™ onsite and completely operational. Best yet, we have each placed in an environment representing their core; financial services, health care, patient registration, education and more! Our complete OmniSeries™ is available for purchase, lease or rental to enable your customer experience transformation to begin today! 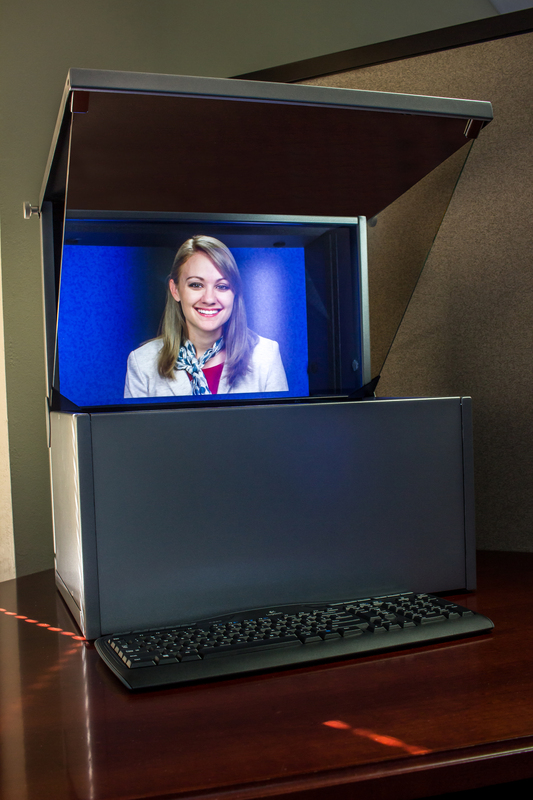 In one location, see every Omni-Series™ telepresence system in action! 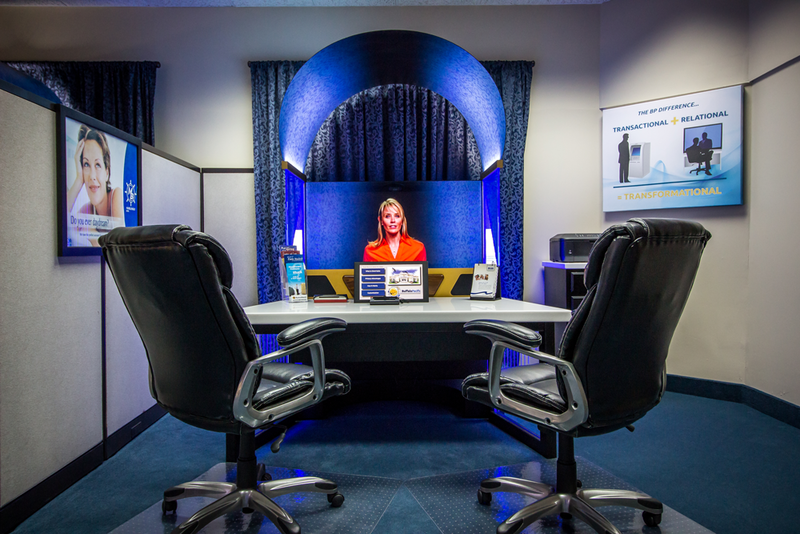 Located in Englewood, OH (a short 5 minutes from the Dayton Airport and conveniently located near the I-70 and I-75 interchange) the BP experience Center is easy to visit…come for an afternoon or stay for a day-long demonstration and strategy session! 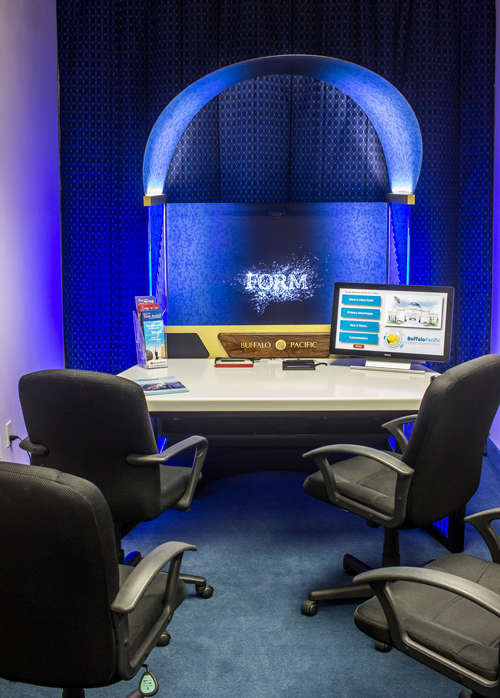 Designed for ease of use and customer directed access or appointment management, the Omni-Suite™ is perfect for bringing subject matter experts to the customer, virtually on-demand! 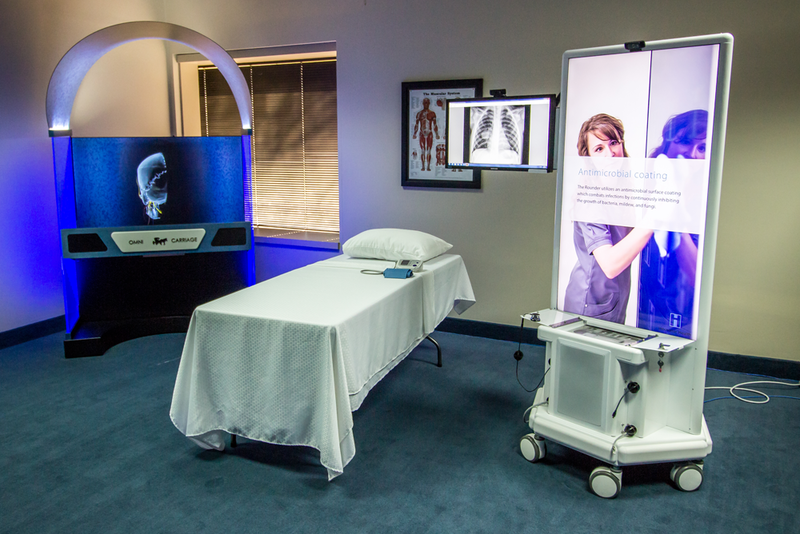 We offer several telemedicine solutions and capabilities, each designed to bring comfort and confidence to the patient and the supportive care of a medical specialist. From remote teleregistration to remote care and connection to any desired specialist, we can meet the need. 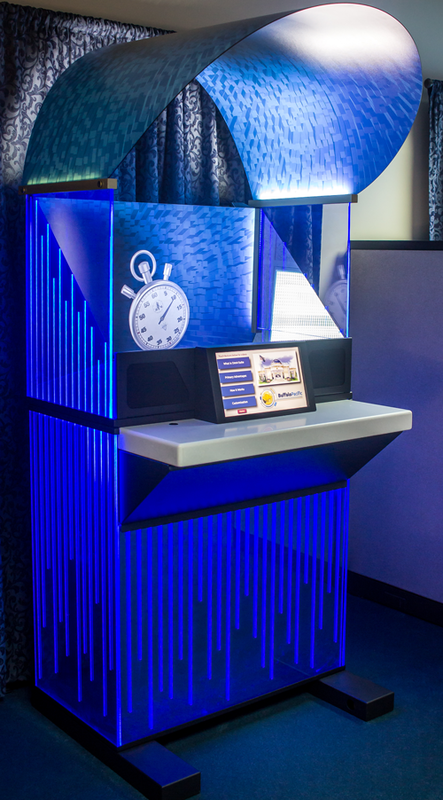 From remote TeleGuidance for educational purposes, retail displays, point-of-sale engagement and more, the Buffalo Pacific Omni-Series™ is flexible and on-task! We have launched our newest application of 3D-4K holographic reality. We are using a term called “Holographical Reality” to describe our visual effect. Our engineering and tech partners have coined this term to promote the fact that we achieve the three-dimensional effect of Virtual Reality or Augmented Reality, but without the need for 3D glasses or a headset. Our visual effect is in the form of holographic three-dimensional imagery viewed in free space. The Buffalo Pacific Portals will be the first large scale implementation of this innovation of Holographical Reality. We are happy to report our “Holographical Reality” process received a patent confirmation in May of 2018, our 15th overall patent (14 USA and 1 EU). Please see our latest video on our Holographical Reality. Check it out—you WILL be amazed!